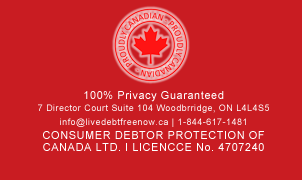 Those in Ottawa, ON who are struggling with stifling debt can turn to Consumer Debtor Protection of Canada for friendly and effective debt assistance. Even if you feel like you will never become debt free, we can help you get on the path to a great financial future. We help clients who are in a wide variety of financial situations, from those who have a few thousand dollars in credit card debt that just won’t seem to go away to those who are tens or hundreds of thousands of dollars in debt. We are even able to help those who have debt that exceeds their income. One of the first things that we’ll do with you is ask about your financial picture so that we know where you are starting. Once we understand exactly where you are, we can develop a plan that can make you debt free in a fraction of the time than would otherwise be possible. In fact, many families who have taken advantage of our debt assistance programs are already well on their ways to financial prosperity. We provide several different types of debt assistance, and we can use them individually or in combination based upon the particulars of your situation. Among other things, we help people to obtain home equity loans to pay off their other debts. These loans come with much lower interest rates than other forms of debt, especially credit cards, which makes it possible to reduce your monthly payments. This puts more money in your pocket on a monthly basis and lets you, if you so choose, to pay down the principle very quickly. If you live in Ottawa, ON and you are tired of battling debt by yourself, call us to learn more about the many types of debt assistance that we have to offer today.